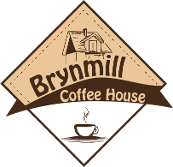 We’re delighted to announce that in response to customer demand, Brynmill Coffee House is going to be open every Sunday from 10 am until 5pm – starting tomorrow. We hope to see you for Sunday morning bacon rolls, post-walk coffees and reading the Sunday papers. All our usual menu offerings will be available, including Mary’s fabulous home-made cakes and our delicious paninis made with bread from Little Valley Bakery – and we’re planning to introduce a fabulous new Sunday special: an Italian roast beef sandwich with two sides. Do come and say hello!